The Shadow Minister for Treasury and Finance, Ian Ling-Stuckey, has blamed the government for not reaching the non-resource tax target of K7.7 billion in 2018. His response follows the Internal Revenue Commission’s (IRC) announcement of successfully collecting K8 billion in tax revenue for 2018. “However, after excluding a large and unexpected mining and petroleum tax bonanza of nearly K700 million, all other IRC collections are K500 million less than the government wanted in 2018. 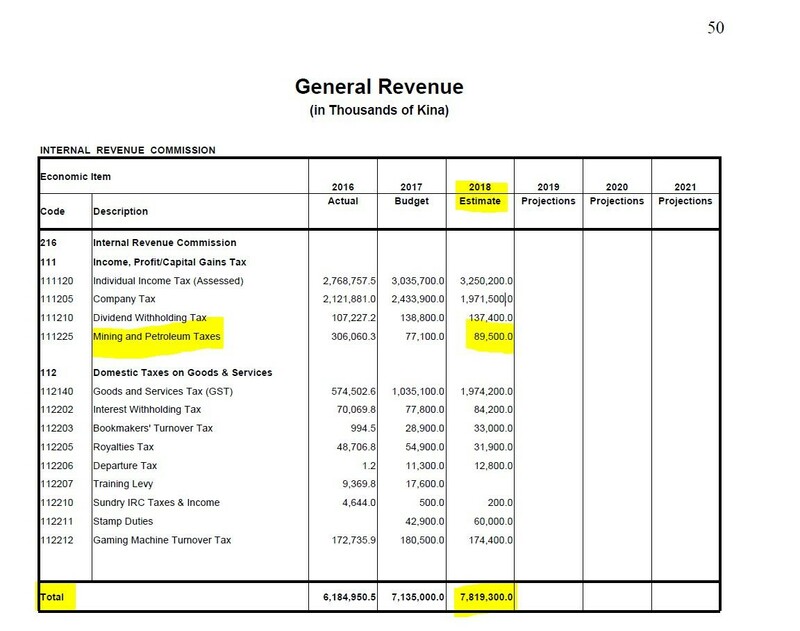 This is part of the fake revenue that I identified in my budget response. “I do not blame the loyal staff at IRC for not reaching the non-resource tax target of K7.7 billion in 2018. The blame instead goes to the unrealistic targets demanded of the IRC by Treasurer Abel and Prime Minister O’Neill. “Non-resource revenues were never going to grow very quickly given how sick the economy was in 2018 – the IMF’s latest estimate is 0% growth for 2018. It is time for a new coalition government that can set realistic revenue targets and get economic growth going again. “Even more importantly, there is a need for a new coalition government that can spend taxpayer funds better rather than on their besties and cronies,” stated Ling-Stuckey. “The 2018 budget expected only K89.5 million in mining and petroleum tax income in 2018. According to the Commissioner of Tax, the IRC collected K774 million – nearly K700 million more. The resource tax bonus was simply to do with higher oil prices – it was unexpected and had nothing to do with the revenue strategy. “Overall, the IRC collected K200 million more than expected. Resource taxes are K700 million higher. This means all other expected taxes are K500 million lower (K200 million minus K700 million).